I was selling a furnished townhome. 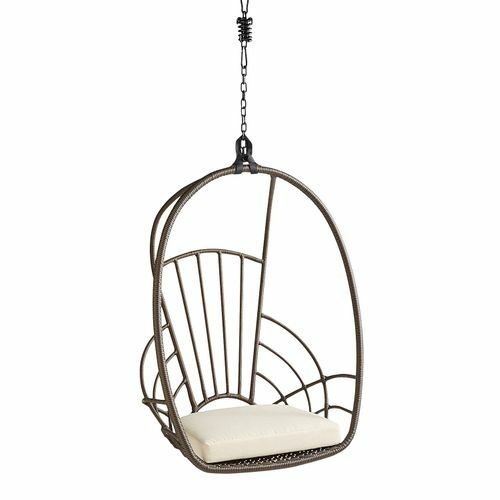 The buyers loved everything in the home including the hanging chair that the sellers specifically excluded. Both buyer and seller were drawing a line in the sand and said that they would each cancel the transaction over this chair. Luckily, the agent representing the buyers and I put our heads together. We asked the seller where she purchased this chair. It turns out that this chair is available for purchase at Pier 1 at Kimball Junction. We split the cost of a second chair for the buyer and saved the transaction. I recently sold a home in Jeremy Ranch. The buyer liked the way the seller furnished the house so much that she asked for everything that was in the house, including my sellers’ framed photos of her children. She ‘graciously’ told my seller that she could take the photos out of the frames, but the frames were to be part of the sale. What would you do? Would you risk carrying an empty home worth over $1M over some used furniture and picture frames? Believe it or not, in addition to the challenging negotiation and inspection concerns, I deal with a lot of issues around furnishings and accessories, also known as “Personal Property”. If you are selling a home that is furnished or selling it partially furnished, prepare an inventory list that can be presented to the buyer before the offer is written. This way, everyone is clear on inclusions and exclusions. If you are a buyer, request this list from the seller. If time is of the essence, request this list within a short time frame of getting the property under contract. Ask your agent to speak with the other agent about possible inclusions/exclusions if what you want is not on the list. Don’t expect these items to be included, but it never hurts to ask. Know the screwdriver rule. For the most part, if it takes a screwdriver to remove, it’s considered a fixture and included in the sale of the home. This includes shelves, light fixtures and even curtain rods. But, if it’s hung on a nail, it’s removable and generally not included in the sale. This can get tricky with built-in bookshelves or desks where it’s not apparent whether they are attached. Never put personal property in the Real Estate Purchase Contract if you are obtaining financing. In Utah, we use a separate “Personal Property Transfer Agreement & Bill of Sale” which accompanies the purchase contract but is a separate document. Lenders are in the business of lending on real property, not personal property. They will force the exclusion of personal property from the contract or, even more ominous, request an appraisal of the personal property. Even though I’m very experienced in working through personal property issues, in the Park City real estate market, they often come up and can be very emotional for the buyer and seller. I know when I’m working with a diligent and capable agent on the other side of the transaction, we can usually work things out between our clients.